What is at the root of being Happier, Healthier, and Better? Well that answer is different for everyone but for the majority of us it was a time when we exercised consistently and ate kind of good at least. At some point in time you thought for at least a second “this may be the solution to my problem” then you either changed your mind or something came up. Maybe you still jumped on Google and looked for “Gyms Near Me” or “CrossFit in Glen Burnie” or “CrossFit Near Me” and found the info you wanted but never took action on it. You’re bored at your current gym doing the same things every day. I had someone call me randomly the other day to ask about CrossFit and get more info. Let’s call him Rick. When I asked Rick why he was calling us he said “I’m beyond bored with going to the gym and do the same things day after day. It’s not fun anymore”. We chatted a bit more and I explained to him that our workouts are different every day and we do upwards of 50 different types of exercises in a given week. Not only that but you are working out around different people on a regular basis too which helps liven things up. Rick is in a much better place now and even though he works out at 5:30am it doesn’t feel like a chore. It’s something he WANTS to do because of the joy it brings him. If you feel like you’re similar to Rick and want to see the different kinds of things we do each week, check out our workouts here. It was back in 2001 – 2009 that I would go to Gold’s Gym five days a week. I did the typical chest and tris one day then back and bis another day. I did that on and off for 8 years or so. It was great when it was working. My arms and chest would get a little bigger, then I would see my back and lats get bigger as well. Then it would just stop, and I couldn’t figure out why. So, I would start going heavier but that means I would need someone to spot me on certain exercises which was always uncomfortable to ask for. Then I thought, I’ll just do more reps at a lighter weight and add some cardio in at the end. This will help me lean out. And it did. Until it didn’t anymore. Once I hit a sticking point or plateau my motivation to work out would decrease rapidly. At that point, if I was still going at all, I was just running through the motions. CrossFit isn’t much different. Just like everyone at the regular gym we will make gains pretty quick then hit a sticking point. Here is where CrossFit get interesting. No one plateaus for very long. Whether it’s your team of coaches helping or someone working out next to you who just broke through that same plateau with what worked for them your chances of making gains again increase dramatically. Whether you work out alone at a regular gym or in a CrossFit gym there is a significant chance you will hit a sticking point or 10. 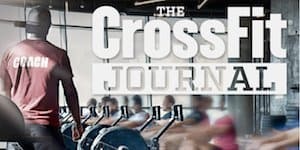 The biggest difference is the CrossFit gym has tons of resources, expertise, case studies at your disposal so we can limit the amount of time you are not excelling. What did you do the last time you plateaued? How did you break through? Maybe you didn’t, and you just need some ideas on what to do next. If so give me a call, send me a reply, schedule a visit, and we will do our best to help you through it. We have a solid group of people who work out at 5:30am quite a few days a week. We love it and yeah, we’re kind of crazy for doing it but we are motivated, so it helps. But what happens when it’s November, December, January, or February and it is crazy cold in the morning? I’ll tell you what happens – MOTIVATION DROPS TO ZERO! (Just like the temperature). Who wants to wake up at 5am, get out of their warm bed where their dog was keeping them warm and snuggly, get into a cold car and drive to the gym? No one really does, it’s crazy. Unless you have people waiting for you and keeping you accountable to show up. Before we go to bed each night we sign in for class for the following morning because we are more likely to go and not back out than if we were to just play it by ear when we wake up. The point is, we have others who get unmotivated as well for many different reasons, but we look out for one another, keep each other accountable, and MOTIVATE each other to show up and work hard. There are a million reasons not to do something but together we find our reasons to do the things we need and want to do. Who or what keeps you motivated? What is the one thing that un-motivates you? What is the most common fitness goal of all time? Some stats I am making up right now are 87% of people start working out because they “want to tone up”. Come on, 87% probably isn’t very far off. I’ve said it before, you’ve said it before, and we both know people who have said it before. The simple answer to #1 is to change your goals. Instead of saying “tone up”, let’s say “lose fat and/or gain muscle”. Does this make more sense? These are two things we measure regularly with our members using a Body Composition Scanner to make sure what are doing is working. The solution to #2 is using the info from the Body Composition Scan to come up with the right plan. One thing is certain though, we will need to lift some weights to make this goal of “toning up” happen. It doesn’t have to be heavy, hell it could be a 15# barbell or 5# dumbbells in each hand. Deep down we all want to lift some weights. It’s empowering and therapeutic. But the reality is, learning on your own is dangerous, inefficient, and most don’t even know where to start. Go ahead and search “how to do a kettlebell swing” on YouTube and see how many different answers you get. We can show you everything you need and want to learn when it comes to weights. Let us save you time and risk. Our Beginner On-ramp Program is 4 1-on-1 sessions that will teach you all of the basics. When you were in high school and/or college you probably had a ton of friends as well a small group of really close friends. As you got older both of those groups got smaller. Then you started dating someone serious, maybe got engaged, maybe got married and both of those groups got even smaller. Then you had kids and both of those groups got even smaller. Now have one or two close friends and a few acquaintances but that’s about it. What if you could meet dozens of people with similar interests to yours and be able to hang out with them and others once or twice a month without doing any of the planning or coordinating. Whether you’re new to the area or just want to meet some new people just like yourself, we can help. Take a look at all of our upcoming events here. Has that word been overused yet? Probably but maybe because it applies to every part of our lives. Whether it’s family, work, or financially related we all slip every now and again. What about when it comes to working out and eating right? Who keeps you accountable and on track? 6 months ago, Katie joined our gym and what Katie didn’t know is how much accountability she would be getting. There are two very big parts of what we do at the gym. 1) Every new member has a main point of contact which is usually the coach they see the most often. If you work out at 5:30am every day your POC is Coach Emmanuel and if you work out at 9:30am it is Coach Krista. The evening group has Coach Brittany or Coach Butch as their main POC. 2) Coach Haley. She is the one that reaches out to you when you miss a week straight. We all have a moment where we fall off track for a moment and we are there to pick you back up. It is important you have a dedicated Coach to call on every time you need something. This Coach you can call, text, or email anytime and they will be there to help. There are times when someone doesn’t reach out to their main POC and a little time goes by where we don’t see you. This is where Coach Haley comes in to save the day. She’s there for you. Unlike the standard gym, we want you to be here and work out regularly and get your money’s worth. We want to see you all the time, learn more about you, build a relationship, and make sure all of your wants, needs, and desires are being fulfilled. It was a couple years ago, and I remember seeing an appointment for a Free Intro come through for a guy named Chris. I was excited, and I sent him a text right away confirming everything and that I was looking forward to it. Chris came in and it was clear right away he was here to lose weight. It wasn’t a lot of weight but enough to see he was unhappy with the way he looked. So, I started the conversation with “So what’s been going on”. Chris talked for a while and told me he tried these different types of workouts, different cleanses, and challenges but Chris never mentioned anything about nutrition. I followed up with “how is your nutrition?” and he reverted right back to those cleanses and challenges. Then I asked Chris “Do you know what the three Macros are?” The look on his face right away told me he was clueless about nutrition, but he was working out 5 days a week. Here’s the deal. Working out is sexier and more fun that cooking. All Chris was ever educated on was the quick fixes. Sure, a cleanse or a challenge can be a great way to kick things off but if there is no education on what to do next and continually buying supplements, products, and pre-made meals is not sustainable. On day one at Wreck Room we do two things: A body composition scan and an intro to nutrition. Over time we will not only teach you what to each and how much of it to eat but we will teach you how to create a shopping list then prep for an entire week in under 2 hours. Need to switch up what you eat? Easy stuff. You will have the knowledge and tools to do it. All Chris needed the whole time was a little education and guidance and it was no time at all before they weight was falling off. If you want to get started with our DIY program then download our Free Meal Prepping for Beginners E-book. If you want to skip all of the guessing and get right to the point, register for our Nutrition & Meal Prep Academy Online Course. Ladies, how do you feel in the weight room at the gym? Don’t know? It’s probably because you’re too scared to go in and that’s understandable. You want to do some squatting, deadlifting, pressing, and benching and you should be comfortable doing it in the main weight room but the second you walk in its “all eyes on you”. So, you immediately go into the women’s only section of the gym (the fact that there is a need for this is absolutely crazy) and continue with your workout only to find there is not the same equipment and space as there should be. Think about this though. What if you were to walk into that same weight room and half, if not more of the people working out were women. Would that make it a little more comfortable? Absolutely it would. Would it take away anything from the guys? Absolutely not. Now everyone wins. When you’re at Wreck Room there are just as many guys as there are girls and we all work out together. No one is nervous, scared, or uncomfortable. There are no mirrors. Just a group of ladies and gents all focusing on the task at hand and supporting one another. This sounds a lot more fun, doesn’t it? Regardless of what your reason is just know that we want to help. We have a unique process that will walk you through everything step by step and it all starts with scheduling your Free Private Intro Session.